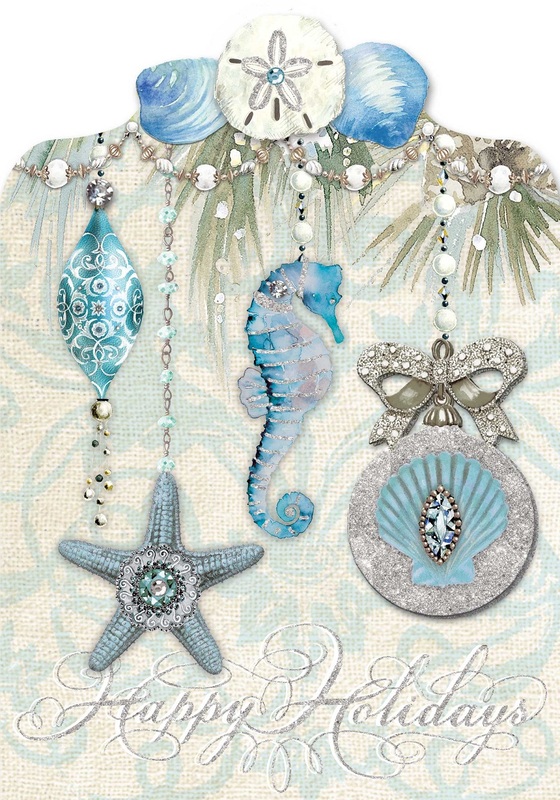 These gorgeous Christmas cards bring a nautical touch to the season! 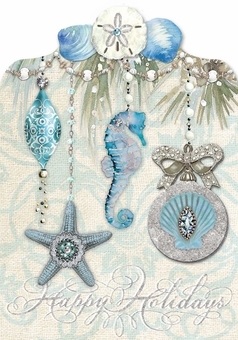 The shaped cards feature ornaments from the sea, including a starfish and seahorse, a ball with a scallop design, and a blue and white patterned decoration. Silver glitter and sparkling gems really make the card pop, and "Happy Holidays" is written in fancy text at the bottom.